The Best Bottled Cocktails | Valet. 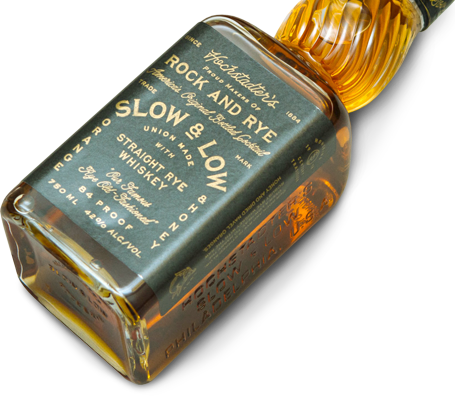 Slow & Low is inspired by America's original bottled cocktail, rock and rye, which was once sold in pharmacies as a cure-all tonic. Their recipe swaps out the rock candy for a touch of honey for sweetness. Orange peel and an herb called horehound are also added to smooth out the rye whiskey's bite. Cocktail purists will likely scoff at the idea of pre-mixed cocktails. And we can understand why. For a long time, they were pretty bad. But these days, a new generation of craft distillers are whipping up batches using top-shelf liquors and other quality ingredients. Some are even aged in oak barrels to further develop the flavors—making them even more appealing than a drink mixed on the spot. Not to mention, these bottles come in handy on lazy days and long summer weekends, when lugging around bottles or mixing up a proper cocktail can seem a bit too taxing. Utah's High West distillery produced its first oak barrel-aged cocktail—a rye Manhattan—for a Repeal Day party in 2011. The new Boulevardier, featuring the company's bourbon mixed with sweet vermouth and Gran Classico Bitter liqueur, has a sharp but nuanced finish. 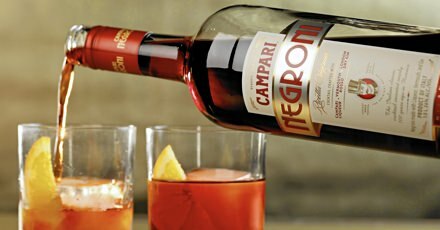 Of course, it's not hard to mix up a negroni (or a variation on the classic), but the cocktail's signature bitter liqueur has made it even easier still by bottling up a batch mixed with a crisp gin and Cinzano sweet vermouth. Perfect for pouring by the pool or at a picnic, when you don't want to lug three different bottles. Created by Chicago bartender Charles Joly, these premixed cocktails have been around for some time and are still a reliable option for quick, crowd-pleasing drinks. 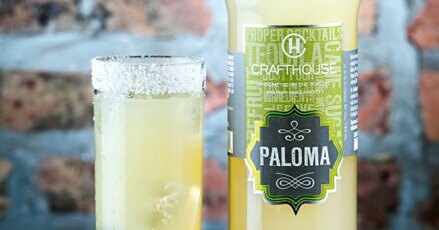 The Paloma is a refreshing blend of quality blanco tequila from Jalisco, Mexico plus handcrafted grapefruit soda, lime juice and real cane sugar. 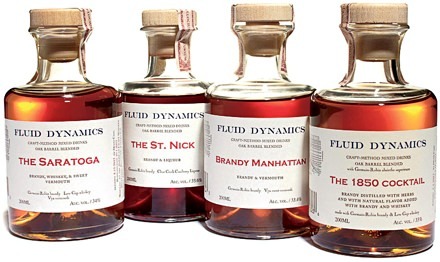 Fluid Dynamics's four bottled tipples—the Saratoga, the St. Nick, the Brandy Manhattan and the 1850—feature the California company's craft-method brandies and whiskeys. They're then mixed with liqueurs and other herbal ingredients and left to mellow in the Germain-Robin brandy cellars to deepen the flavors. A spirits-only cocktail will keep on your bar. Here's how to whip up a batch (plus a secret to making it bartender-quality great). A classic drink that's ideal for this time of year and always hits the spot. A simple, three-ingredient drink that's ideal for a date.